Ingredients: Chitosan (obtained from crustaceans), chromium yeast, anti-caking agent (magnesium stearate, silicon dioxide), coating (gelatin). 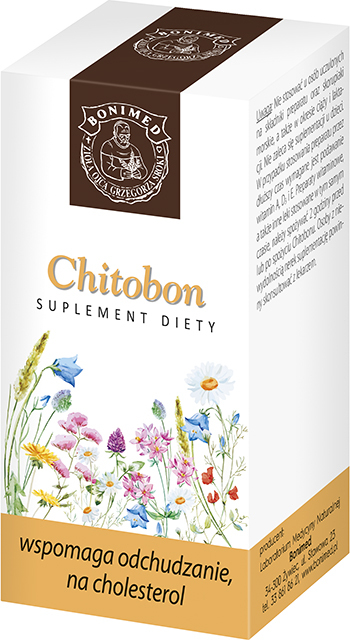 Recommended daily intake of the product (9 capsules) contains: Chitosan (obtained from crustaceans) 4.5 g, organic chromium: 90 mcg* of pure chromium. Storage: Store in a closed package in temperaturelower than 25°C, in a dry place. Protect from sunlight. Keep out of reach of children.